Home Health News	Scrapping Sports For Wellness Programs: Should More HBCUs Follow Spelman’s Lead? Scrapping Sports For Wellness Programs: Should More HBCUs Follow Spelman’s Lead? I originally wasn’t going to write about this, but after seeing last night’s 60 Minutes segment on college football, I’m curious. Sports began on American college campuses as a way for students to blow off steam and be healthy. Over the last century and a half, athletics have transformed into something very different: a handful of elite athletes, showered with resources and coaching, competing against other schools while the rest of the student body cheers from the stands. On Thursday, Spelman College — a historically black women’s college in Atlanta with a far-from-big-time NCAA athletics program — announced how it plans to return to the old model. The school said it would use the nearly $1 million that had been dedicated to its intercollegiate sports program, serving just 4 percent of students, for a campus-wide health and fitness program benefiting all 2,100. For Tatum, there is also an element of social responsibility. She said a campus analysis found that almost one out of every two students has high blood pressure, Type 2 diabetes or is obese. “I have been to funerals of young alums who were not taking care of themselves, and I believe we can change that pattern not only for them but for the broader community,” Tatum said. The Division III school has been part of the Great South Athletic Conference in seven sports, including basketball, softball and tennis. Tatum said the school was sending a letter to the NCAA saying the school would be withdrawing from the conference and would no longer have an athletics program. Instead, the school plans to expand wellness programs and renovate fitness facilities. David Ridpath, an associate professor of sports administration at Ohio University, called the announcement eye-catching and predicted it could serve as a model at similar schools. 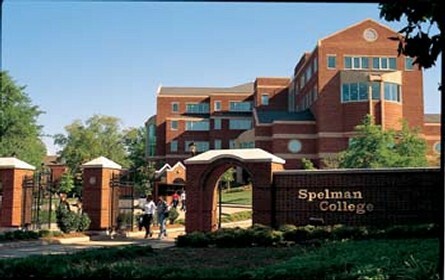 Spelman is unusually well-suited for such a move as it will likely face little uproar from alumni. Tatum acknowledged that Spelman’s student-athletes were disappointed when they were told last spring, but said she was hopeful it would not discourage them or future students. During last night’s 60 Minutes segment on college football, there was a brief little moment that actually shocked me – the athletic director at University of Michigan spoke of how few athletics programs are actually financially solvent, with the school profiting off of its programs as opposed to the programs simply costing the schools money – and I’m assuming that he was only referring to Division I athletics. If only 22 or so of those 125 schools are, at minimum, breaking even… what’s that say about non-Division I schools? Considering this, coupled with the financial plight of so many of our HBCUs, it made me think twice about the Spelman decision. I’m not going to lie – I didn’t write about this earlier because I didn’t agree with the decision. I didn’t think it made sense to separate sports from wellness, but the hard reality is that not everyone relates to wellness through a sport… and they shouldn’t. It’s not for everyone, and that shouldn’t be the only opportunity that students have to get where they want to go. (I may be looking for a sport to show off my newfound hypercompetitive nature now, but I would’ve cringed at the thought a few years ago.) Furthermore, when you see how small the athletics program was, and how few students it affected in comparison to how many students on campus might embrace and benefit from the support of a more comprehensive wellness program. And, really… when you frame the conversation in terms of financial solvency coupled with “social responsibility,” I start wondering about the broader context. Is this something that more HBCUs should adopt? I’m pretty sure that Spelman’s statistics aren’t that much different from many other HBCUs in the country, so what role can HBCUs play in helping reinforce healthy living habits? What does a healthy, positive, encouraging collegiate wellness program look like? (Does it look like a new fitness facility?) And can it be done on $1 million a year? I think this is a wonderful idea. I went to an HBCU and aside from homecoming, no one went to our athletic events. We did not have a football team so like Spelman, I’m sure they were losing money on the program and it was only benefiting a handful of students. A wellness program that benefits all students is a much better place to spend the money in my opinion. If they do put this towards a gym think of the camaraderie and friendships that can be made in a daily zumba class or spinning class. I love the idea and I hope more school that are in the same situation with regards to athletics will follow suit. I think it’s a great concept. I remember undergrad intramural sports being big. Dorms or Dorm Floors competed against each other. There was always a game going on football, kickball, softball. Also the Gym was open 6am – 12 midnight. I can see this working. I believe more people are interested in their health and students definitely need an outlet. So bring on Zumba, Yoga, Cross Country Runners and maybe even a Step -Team. That’s another thing. What about intramurals? I think that’d be AWESOME. Charge cheap for the games, use that money to sponsor uniforms and equipment… man. That could rock. I applaud Spelman for making this move. Too many of our young people don’t understand the importance of eating well and exercise and how it relates to their health in the short-term and longterm. If the program benefits everyone on campus and educates individuals on making wise food and exercise decisions, I’m all for it. I think it will make the college experience more positive and better ready students for the work environment. I don’t quite understand the school’s decision. My university offered both athletics and wellness opportunities (they still do). We had a fitness center, tennis courts, year-round access to an indoor pool, and fitness classes. There was plenty offered to all the students. Sadly, most of us just didn’t take advantage of them. Does this really have to do with wellness, or does it have to do with the fact that the school just isn’t a viable contender in athletics? I think chalking it up to statistics and “wellness” is a copout. Also part of why I originally side-eyed this… but, realistically speaking, they could’ve just closed the programs and went on about their business, putting that yearly investment elsewhere… but to use the money for THIS, I think, it what makes it *different*. Your university was likely better funded. In other articles on this Dr. Tatum makes no secret of the fact that the amount being spent on the sports program was a major factor in the decision. With all the other funding priorities HBCUs have I don’t think doing both would have been seen as the best use of resources. The way I understand it, the new Spelman model won’t separate sports from wellness. Sports will be available to a broader population in the form of intramurals, something I don’t think they have now. I’ve also heard that they’ll be able to offer more of the types of activities their students might actually incorporate into their adults lives, like golf and running. How many 45 year old former division 3 female basketball players are catching a pick-up game to stay fit? I think it’s a great decision and hope other schools at least look at how their programs can be more inclusive. add some yoga/ballet. stuff that’s low impact and beginners can do without having to compete. I think it’s well-suited for Spelman because they have a small athletics department. But at someplace like CAU, my alma mater, it would be detrimental to the school. What about the 14-25% of the students on a Band, Cheer, or Dance scholarship? What about those who would not otherwise be able to attend the these colleges without some type of sports scholarship? As much as I’d like to think the AUC schools will work together to find places for displaced athletes, personal experience tells me otherwise. You could barely get into class at Spelman if you were from CAU, but they all attended classes on our campus. But I digress… if it works for Spelman, with 4% student athletes, fine. But other schools should probably create some type of blend where wellness and sports can co-exist.